Langtang Trek 7 days 6 nights is a short and easy trek to Langtang Valley that was sadly destroyed during the 2015 earthquake. 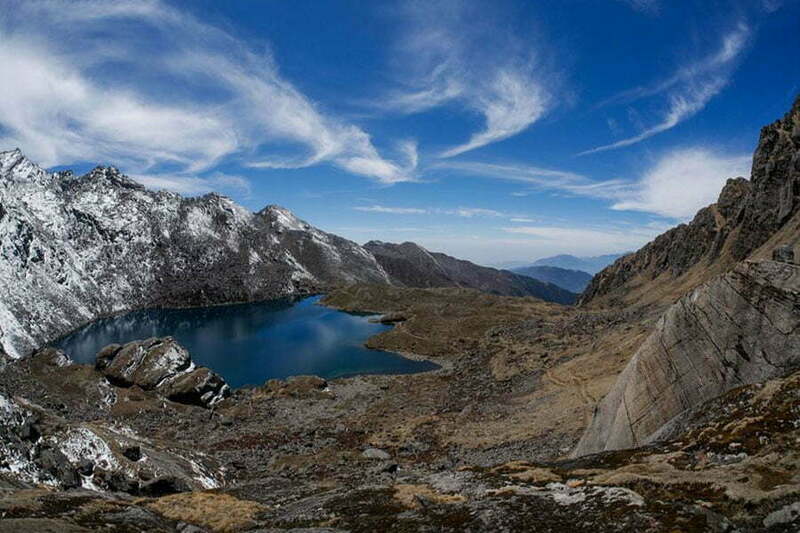 You will trek into the territory of Langtang National Park and visit Kyangin Gompa- the biggest shrine in langtang. 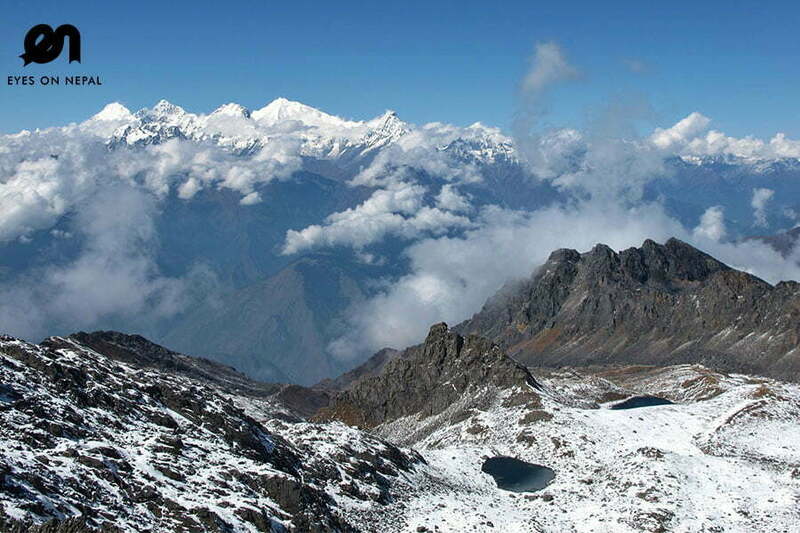 Cherish the spectacular views of Ganesh Himal and Langtang ranges including Langtang Lirung, Kyanjin Ri and Yala peak. 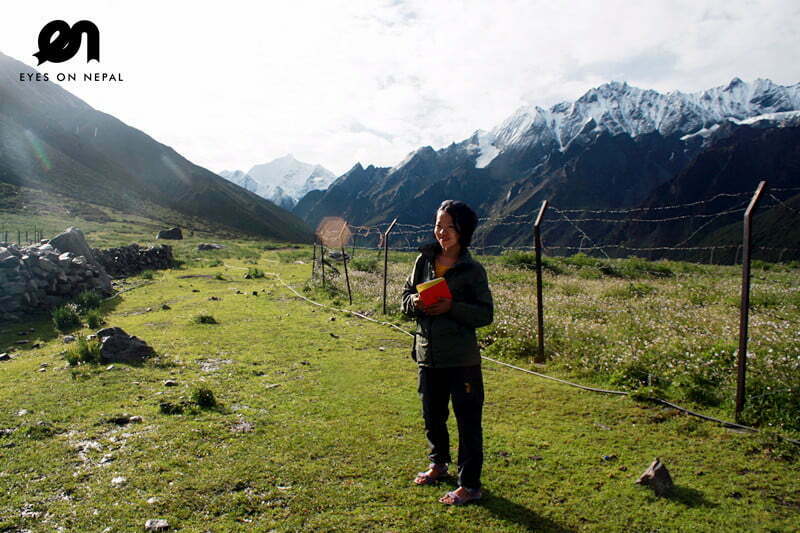 As people rebuild their lives back, Langtang Valley is slowly regaining its lost glory. Your visit to Langtang will hold utmost significance in local socio-economic upliftment. 05.00am: Morning call. 05.30am: Check out. Pick up and drive to Machapokhari to catch the bus to Syabrubenhi with your trekking guide. 09.00am: You will passby Kakani(2066m), a glorious panorama of the snow-capped Ganesh Himal and the Langtang and you can see the Goasainkund mountains. 02.00pm: You will passby Dhunche(1950m) – capital of Rasuwa district, and is the last town on way to Lantang and continue the bus ride. 03.15pm: Arrive in Syabrubensi. Check in hotel. Free and easy after check in. You can explore the local market in Syarubensi. This is the starting point of the Lantang Trek. NOTE: You will rest here and tomorrow will start the trek. Dinner in the hotel. 07.00am: Breakfast at the hotel 08.00am: Check out and start the trek to Lama Hotel(Uphill trek) and you will passby a prayer drum. 09.00am: Arrive in Old Syabru and continue the trek to Doman(1650m). 01.00pm: Arrive in Bamboo and have your lunch here. 04.30pm: Arrive in upper Rimche(2520m). Check in in Lama hotel. Rest and relax. Free & easy. 09.00am: Arrive in Riverside(2780m) whereby you will have the first glimpse of Langtang Lurung, the highest of the Langtang Himal peaks. You will continue the trek to Langtang Village. 09.30am: Arrive in Thunama(Woodland) and continue the trek to Langtang village. 10.30am: Arrive in Ghora Tabela (2970m) and lunch here. You will need to show your TIMS and National Park permit here at the check post 1.5km away from Ghora Tabela. 01.00pm: Arrive in Chamki(3230m) and continue the trek. 02.00pm: Arrive in Kangtangsu(3390m)and continue the trek. After 7km, you will see the Langtang Gompa. 08.00am: Check out and start trek to Kyanjing(3870m). Today is a pleasant, easy walk with wonderful view all along. So beautiful snow-capped mountains views. 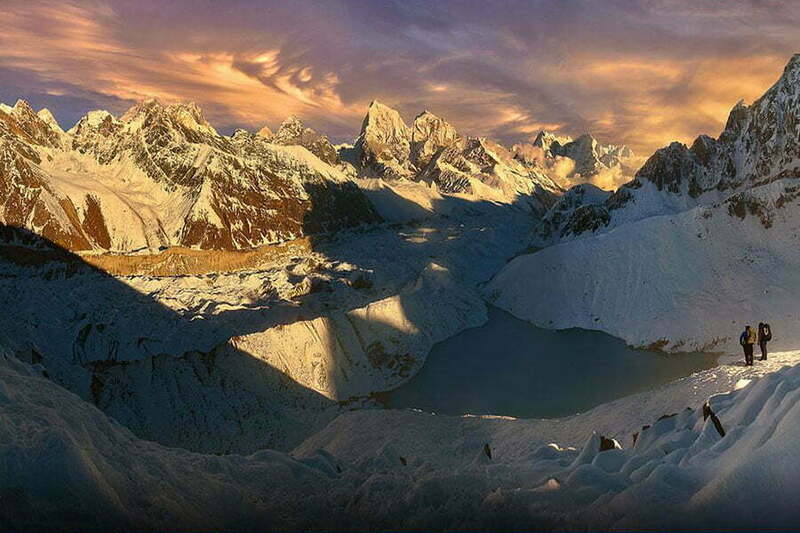 08.30am: Arrive in Singdum(3470m) and continue the trek to Nespali. 02.00pm: Arrive in Kyanjing. Check in. Rest and relax. Free & easy. NOTE: You can do some excersion around this beautiful area. You can see around 15 mountains on very close range. 04.00am: Start the uphill trek to Kyanzing Ri(Peak) 4700m. 06.30am: Reach the top of Kyanzing Peak. Enjoy the view from the peak. Note: We will stay here for 30 minutes for good view. 08.00am: We arrive in Hotel. Check out from the hotel. We will have tea break at the hotel. 09.00am: Check out and start the trek to Lama hotel. 09.30am: Arrive in Yangbu and continue the trek. 10.00am: Arrive in Nespali and continue the trek. 10.30am: Arrive in Singdum and continue the trek to Langtang valley. 11.00am: Arrive in Langtang and you will have your lunch break here. 12.00pm: Continue the trek to Lama hotel. 12.30pm: Arrive in Kangtangsu and continue the trek. 01.00pm: Arrive in Chamki and continue the trek. 01.30pm: Arrive in Thagshyap and continue the trek. 02.00pm: Arrive in GhoraTabela and continue the trek. 03.00pm: Arrive in Thunama(Woodland) and continue the trek to Langtang village. 03.30pm: Arrive in Riverside and continue the trek to Lama hotel. 04.30pm: Arrive in lama Hotel. Overnight here. Check in hotel. Rest and relax. Free & easy. 08.00am: Check out and start the trek to Syabrubensi. 08.45am: Arrive in upper Rimche and continue the trek. 09.15am: Arrive in lower Rimche. 10.30am: Arrive in Bamboo and continue the trek. 11.30am: Arrive in Doman and you will have your lunch here. 01.30pm: Arrive in Old Syapru and continue the trek. 03.00pm: Arrive in Syabrubensi. Check in hotel. Rest & relax. Free & easy. 08.00am: Arrive in Dhunche and continue the ride to Kathmandu. 09.00am: Arrive in Kalikasthan and continue the ride to Kathmandu. 10.00am: Arrive in Betrabati and continue to Trishuli. 10.30am: Arrive in Trishuli. You will have your lunch here in local restaurant. NOTE: Lunch will be at own expenses. 03.30pm: Arrive in Kathmandu. And, you will be transferred to your hotel for check in in Kathmandu. Congratulation! Your treks end.